Woohoow! What a weather! Clear skies, cool breeze, and famishing hunger! Then why not find a posh rooftop gravity-defying cafes to treat yourself with stunning dinner-time views? After a long day of city wandering, spare your evenings to escape the hustle and bustle in favor of your trip to one of these roof-top cafes. Sitting right just under the starlit sky, and watching an unobstructed panoramic view of the scenery – definitely the food on your table tastes more than just ‘delicious’. 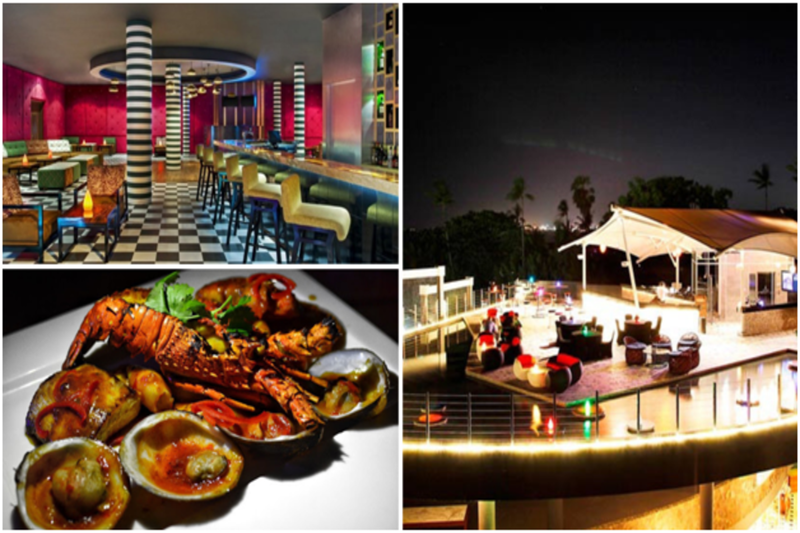 So check out these sky-touching eateries that offer a wow-worthy affair. Next time when you travel to these cities, make sure you tick off these cafes for an impeccable holiday experience. Could anything sound better than this? I highly doubt. 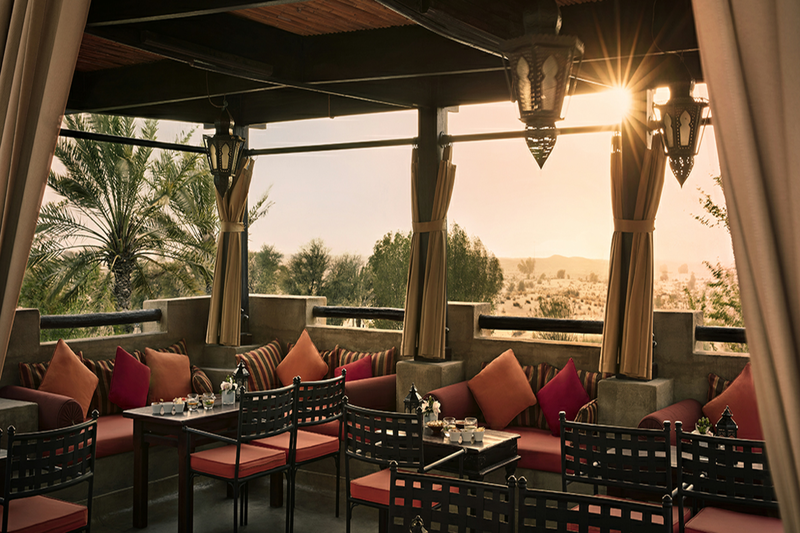 The open terrace – overlooking the Arabian Desert, amazing vistas of camels on the horizon, a magical and exotic sun setting down the desert dunes – altogether frames the equation for Al Sarab Rooftop Lounge. Truly! You got to keep your eyes peeled off for seeing such a beauty. The Alfresco seating with comfortable chairs and cushions, provide a friendly setting for a night to remember. The place is well known for its Arabian cuisine, obliging service, and hospitality. You really can’t miss this – Shisha connoisseurs cannot escape the appealing aroma of the Shisha that is served in many different flavors. The best time to get there – Nobody would ever want to miss the beautiful sunset that happens at this place. 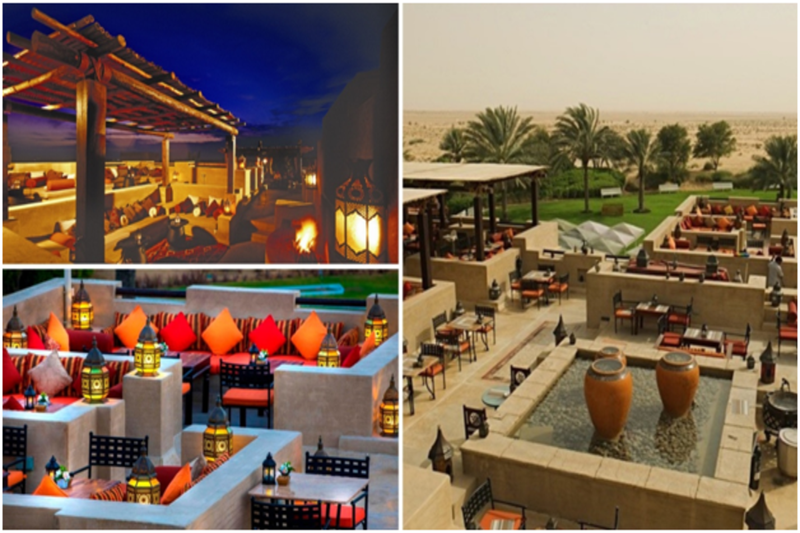 So it would be best if you reach the place just before it gets dark – watch the glorious beauty and settle there for dinner listening to the live Arabic music. Did you ever think that there could be something taller than the great Marina Bay Sands –Singapore? Well, given a thought about it I’d always say to myself that it is impossible. But there is this one thing that has been really tall. Taller than anything that one can imagine. Just can’t believe it? Then just go to 1 Altitude Bar- sure, you will. 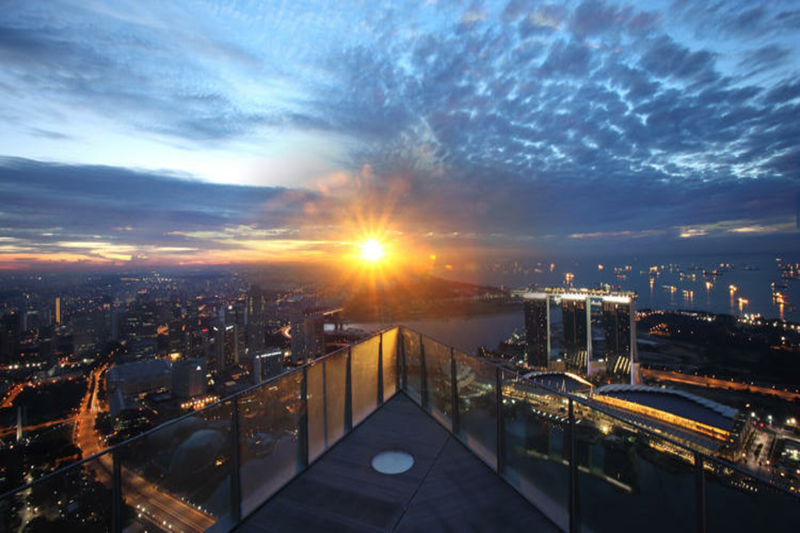 Boasting the highest views in Singapore, 1 Altitude Bar is one of the most popular rooftop bars in Asia. Believe it or not! 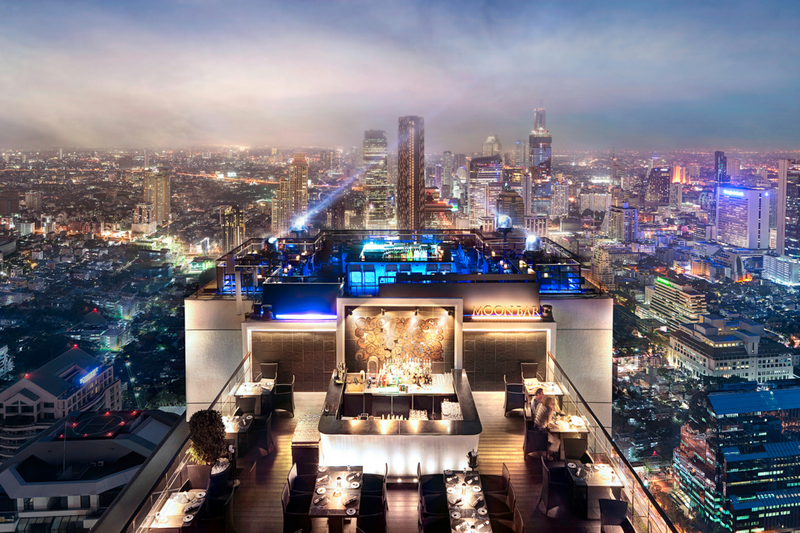 This 282m tall, Rooftop Gallery & Bar is the highest alfresco bar in the world. 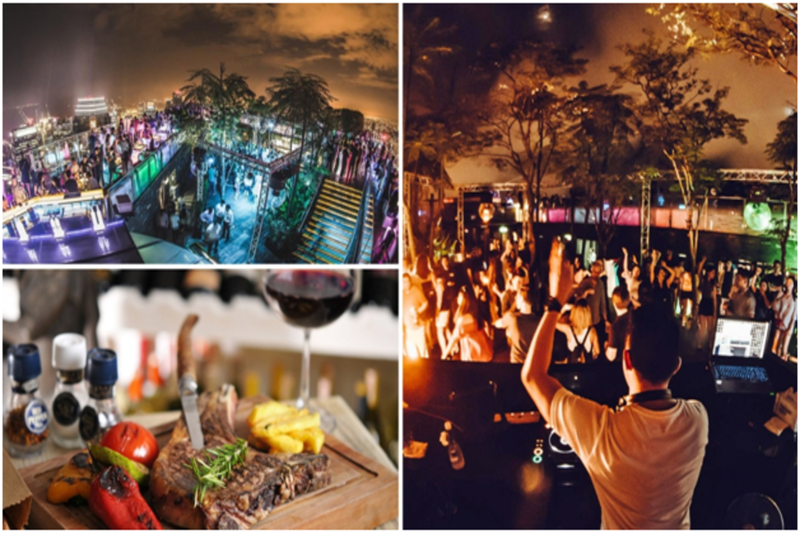 Experience a sky-high night while tasting the bar’s signature cocktail –Zenbreeze, soak up the beautiful sights with a 360-degree view of Singapore while you wine and dine, and dance in the vibrant atmosphere while you listen to live music from top local bands and internationally renowned DJs. Thumbs up to the good music and delicious drinks! 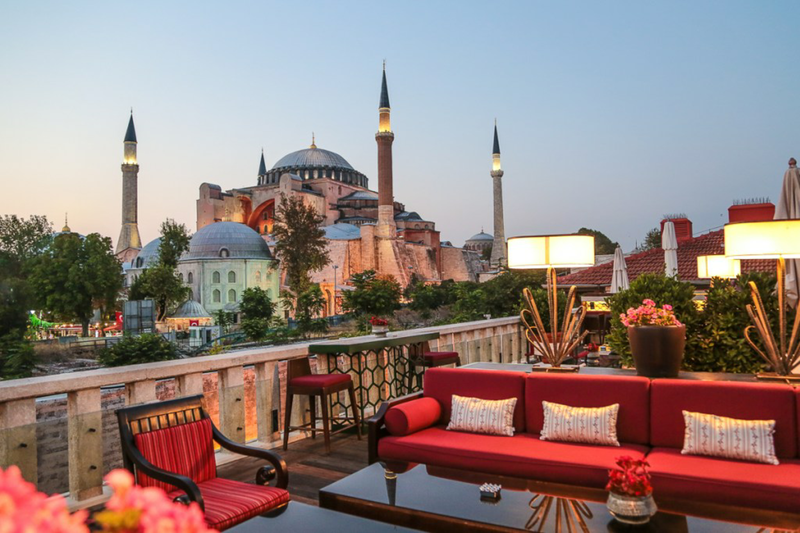 At A’YA Rooftop Lounge at Four Seasons Hotel Istanbul at Sultanahmet, witness the juxtaposition of the impressive Blue Mosque and the stunning church – Hagia Sophia. This place, with an amazing back-drop of such iconic figures, hikes up to a next level when illuminated at night. Simply jaw-dropping! The place got everything- comfortable seating, exquisite cuisine, old Turkish wines and views of city panoramas that always tell you a story. 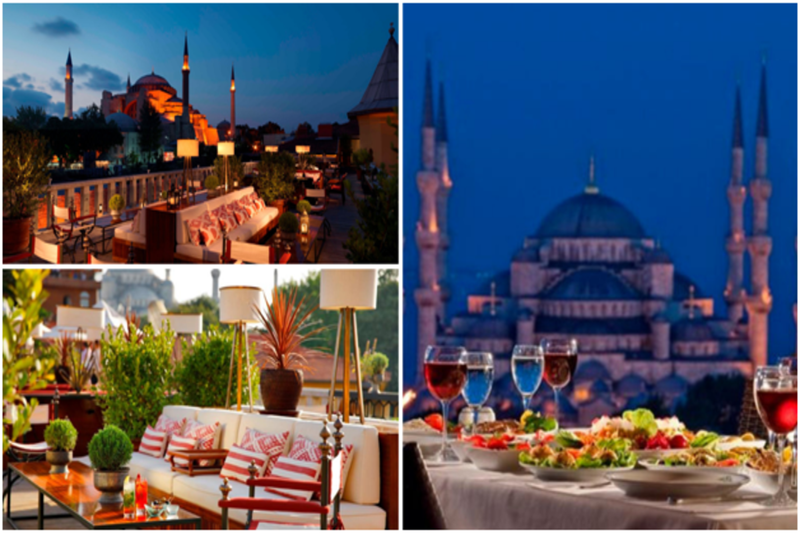 After a long day of sightseeing, relax here whilst enjoying a refreshing cocktail and watching the stars spread over Istanbul. Signature Dish – deep-fried potato balls served with sauce and pickles. Keep it light for lunch – salads, sandwiches or pasta with savory snacks such as mussels’ dolma, lamb durum and Turkish puff pastry. Get your dinner served up with a Turkish and Mediterranean fare, including the signature boneless lamb shank. Of course you can’t miss out dessert! Try caramelized pistachio crème brûlée. You’ll be complete. 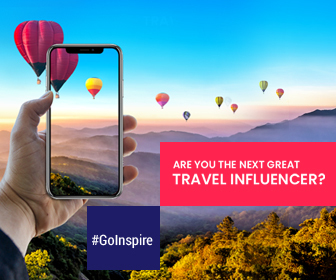 Topkapi Palace, Jennifer’s Hamam, Hagia Sophia, Sultanahmet Park, Cankurtaran train station and the Blue Mosque are all just a short walk away. 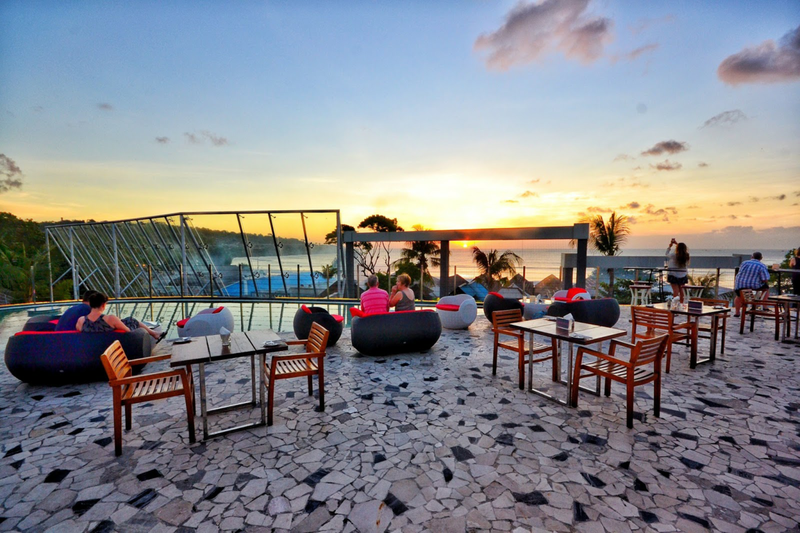 A cozy and relaxed terrace lounge located on the roof of Le Meridien Bali Jimbaran is a great selection for experiencing modern Asiatic sunset tapas. If you’re hitting Jimbaran Bay, you will be very unlucky if you miss out this place. With all the fine-dining menus, expansive views of Jimbaran Bay, dazzling lounges hosting energetic parties, water decks featuring a collection of table setups and a great selection of 90’s retro music – this place is great for party-goers and nightlife seekers. Wonderful martinis, cocktails and fruity punches that are offered along with Asian-inspired gourmet bites. Ubiquitous happy hours – if you’re looking for a good deal. Get over there between 5 and 9 pm for the happy hour buffet. Saturdays, you can enjoy authentic Jimbaran barbecue with seafood and meat. 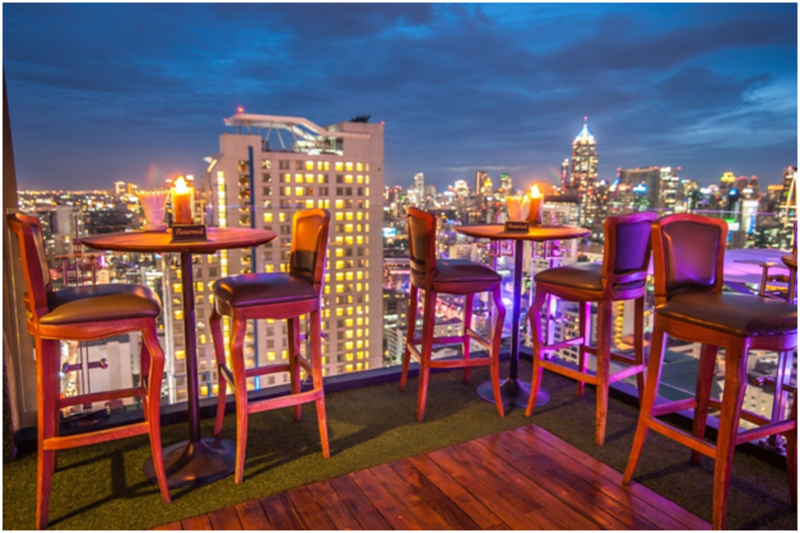 Vertigo & Moon Bar is the most sophisticated and stylish roof terrace overlooking the glittering cityscape of Bangkok. 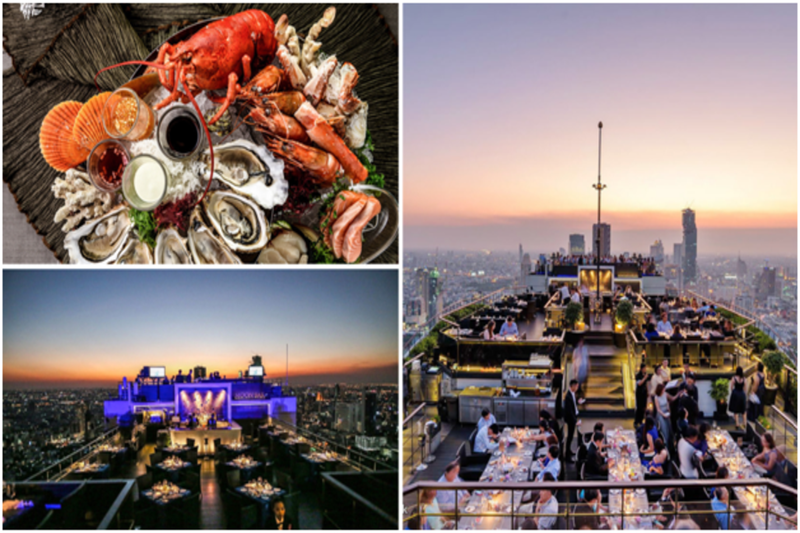 This extraordinary venue built on the rooftop of the Banyan Tree Bangkok Hotel, is the best spot to get a glimpse of the city’s vast skyline. Dine on fork-tender seafood and premium steaks that Vertigo Restaurant offers – high quality, impressive taste, and great service are guaranteed for sure. Feast on their adventurous cocktails while you relax in futuristically designed bar and lounge. Book an early table right in the evening itself to catch the sunset over the city and to beat the crowds. Both Vertigo and Moon Bar have a ‘Smart Casual’ dress code, requiring semi-formal attire. Don’t worry! You don’t need to get your suit out of the wardrobe. Just be sensuous. Having insatiable passion for seeking out culinary excellence all over the world? For more foodie inspiration – check out here!